Every so often, we chat with a young alum about what they do and how they got there. 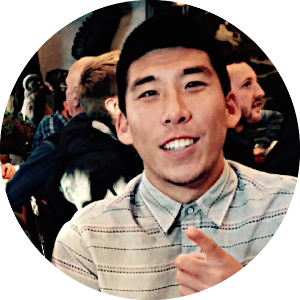 Today, we’re talking with Stephen Ho ’14, business technology administration. Stephen, who played for UMBC’s Final Four soccer team as a student here, is now director of logistics and customer service at Hungry Harvest, a startup that recovers “ugly” produce from grocery stores and delivers it to subscribers weekly, donating food to the hungry for every box sold. Hungry Harvest gained national recognition after being featured on ABC’s Shark Tank earlier this year, and the company is now looking to expand from the Baltimore-Washington area into other locations on the East Coast. Describe your path to Hungry Harvest. How did you end up working there? After graduating from UMBC, I was not exactly sure what I wanted to do [besides] play soccer. Once that road had closed, I had a friend give me an opportunity at Hungry Harvest. I was not really sure what I was in for but enjoy working each day. Talk me through a typical day at a startup like Hungry Harvest. A typical day at Hungry Harvest includes early mornings and late nights. We work at the Maryland Center of Entrepreneurship and are in the office from 9 a.m. to 7 p.m. on a daily basis and even later at times. While the workload is a lot, it is very necessary to keep growing the startup. With that being said, we have a very fun work environment and we enjoy working at the office with our small group of employees. Your company was recently featured on Shark Tank. How has that changed things for your business? Since Shark Tank aired, we have doubled our deliveries and have hundreds of people on the waitlist from all over the country and world. We recently just expanded to Philadelphia as well. How has your UMBC experience affected your career path? Which professors or classes stood out? While attending UMBC I had no idea I would end up in this position or role but nothing can take away from the experience and memories I had [here]. Playing soccer there is something I will never forget and I could say that my coaches and all my teachers stood out. Knowing what you know now, what advice would you give an incoming UMBC student? Knowing what I know now, I would tell incoming UMBC students to take advantage of every day that they have there and to actually stay on campus on weekends. College will fly by and you’ll miss it once it’s all done with. Tell us what you’ve been up to in a class note!